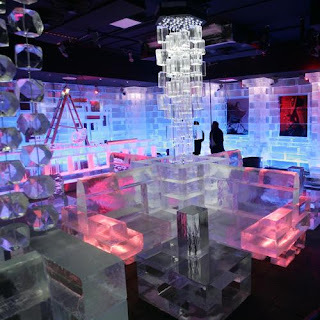 So last night I was having a conversation with one of my friends about Ice Bars. I think they are about the coolest things to go to! A girl from Jordan went to one for her birthday and the pictures were crazy! There's one in Dubai that I'd like to experience one time. It may be a little chilly but i think it'd be worth it! Even the cups and shot glasses are made from ice!